At Tiernan Tech, we offer a wide variety of computer services. Whether you're looking for help setting up a new computer or fixing your existing one, we can help. Drop off your computer at our shop, or contact us on the site to arrange a time to get your problem fixed. Our shop also carries a variety of new and refurbished computers, parts, and other accessories. 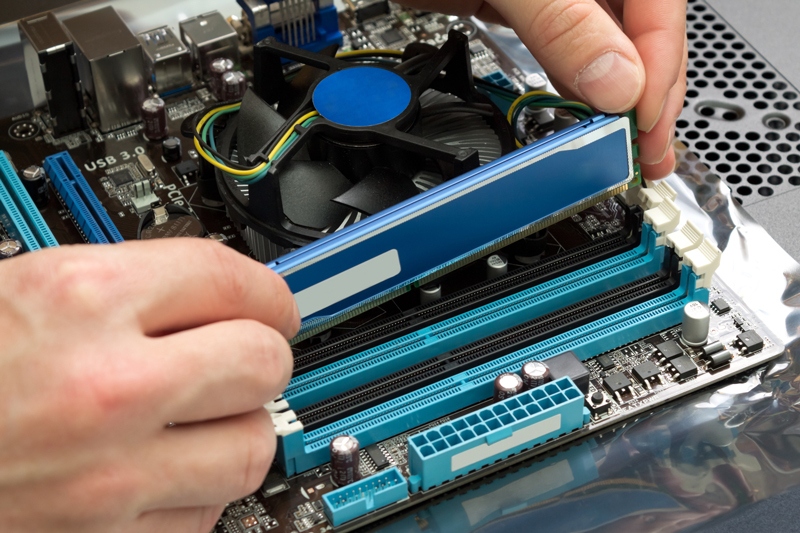 Whether you have a part that is no longer working, or you simply want to upgrade certain aspects of your computer, we can help. Sometimes you can save a good amount of money by repairing/upgrading components instead of buying an all new computer. Stop by the store or contact us to get a free diagnosis and price quote. If your part is in stock we can have the problem fixed on the day you bring your computer or laptop in. If we have to order a part, repair will typically take 1-3 days. Computer viruses can be the cause for many headaches. If your computer seems sluggish or you're noticing odd behavior, bring it in and we'll take a look. Virus removal is typically a fast process and can make a great improvement in your computer's performance. Sometimes you can be too busy to put up with the headache of setting up your new computer. If you'd like, we can install for you. With this service, we'll go to your home or business, plug in all of the necessary components for your computer, and make sure all of your software and hardware are working the way you need them to. Part of getting a new computer is transferring all of your important documents and photos from the old hard drive to the new one. Let us make that process a simple one for you. Tell us what you want transferred and we can make sure everything is moved over in a hurry. When some people buy a new computer, they want it to fulfill certain specifications. In these situations, custom computers can be the way to go. With a custom computer at Tiernan Tech, we will build you a computer that looks how you want it to and performs the way you expect it to. Stop by the shop to see what options we can put together for you and to get a price quote. If you're simply wanting to buy a new computer, or if you're wanting to buy parts and accessories for yourself, you can stop by our storefront in Stuart at 100 NE 2nd Street (On the corner south of the Dollar General store). We carry a variety of parts and accessories, as well as computers, laptops, tablets, and monitors. Businesses rely on their computers and other technology working at all times. We can help to ensure things are maintained and any problems are fixed right away. View some of our business solutions at http://www.tiernantech.com/our-services/business-solutions for more info. Some of these solutions include rapid on site service, monthly maintenance checks, and scheduled hardware replacement plans. Below is a general idea of the rates we charge for services. We keep our prices fair and affordable to ensure you are satisfied with your experience with our shop. General services at the store, done when you drop off your computer or laptop. Some work subject to our flat fee pricing. Services provided at your home or business. Travel time factored in to hours. At Tiernan Tech, we try our best to make sure you receive the best possible service. Because of this, if we are unable to fix your computer problem, you won't be charged for the labor. We'll clean up any virus problems you have and remove any affected files/programs. A free antivirus will then be installed and recommendations will be given to prevent future problems. If you prefer a premium antivirus be installed, it will be installed for the cost of the software. We'll setup various programs you use (software costs extra if needed), setup your printer, adjust settings, make sure you're connected to your internet, etc. Data can be transferred from your old computer to your new one. Our computer cleanings involve both software and hardware. We'll start by removing any unwanted programs and files, as well as adjust some things to help your computer run slightly faster. Next, we'll clean out the dust from inside the computer. Last, we'll clean up the exterior for you. Fill out the form below to sign up for service. After you have completed the form, we will contact you to move forward with the repair - whether that means scheduling a time for you to bring your computer or laptop to the store, or if that means setting up a time for us to stop by and work on it on-site.